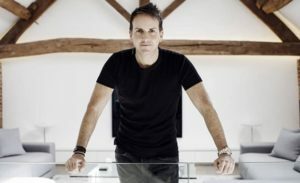 UK Music has welcomed Greater Manchester Mayor Andy Burnham’s appointment of Sacha Lord-Marchionne as the city’s first night time economy adviser. Warehouse Project and Parklife boss Lord-Marchionne will be a champion for the city’s music and club venues, as well as its wider cultural offering. Welcoming the appointment, UK Music CEO Michael Dugher said: “This is more great news from Andy Burnham. We look forward to working with Sacha and giving him our full support. “We have seen what a great success London Mayor Sadiq Khan’s appointment of Amy Lamé as ‘night czar’ has been for the capital. “I’m confident Sacha, who has a formidable track record and a wealth of expertise and experience, will bring many positive benefits to Greater Manchester. “There is a fantastic music scene in Manchester and a great music heritage. Andy Burnham totally gets this. Manchester has a thriving economy, including a world-renowned night time economy, and I know Andy Burnham is deeply committed to supporting this and to bringing more jobs and prosperity to every corner of Greater Manchester. Lord-Marchionne will be supported in his new role by a night time economy panel drawn from councils, local businesses, public services and other organisations.